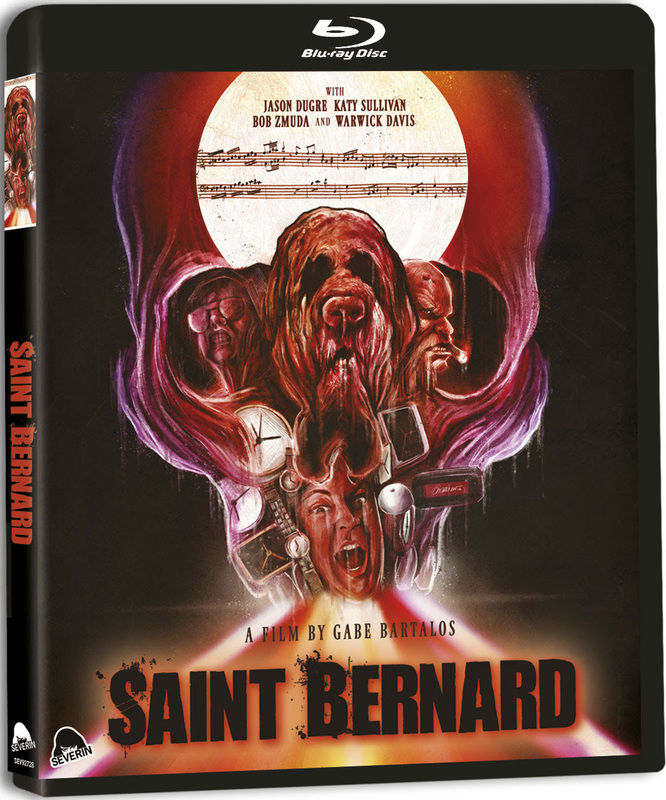 Severin Films presents SAINT BERNARD Limited & Regular Editions – The Hallucinatory Epic from Writer/Director/FX Master Gabe Bartalos. Only 3,000 units with an exclusive Slip Cover! Cast: Jason Dugre, Katy Sullivan, Peter Iasillo Jr.
His award-winning FX career spans both grindhouse (BRAIN DAMAGE, FRANKENHOOKER, the LEPRECHAUN series) and art-house (Matthew Barney’s CREMASTER CYCLE). 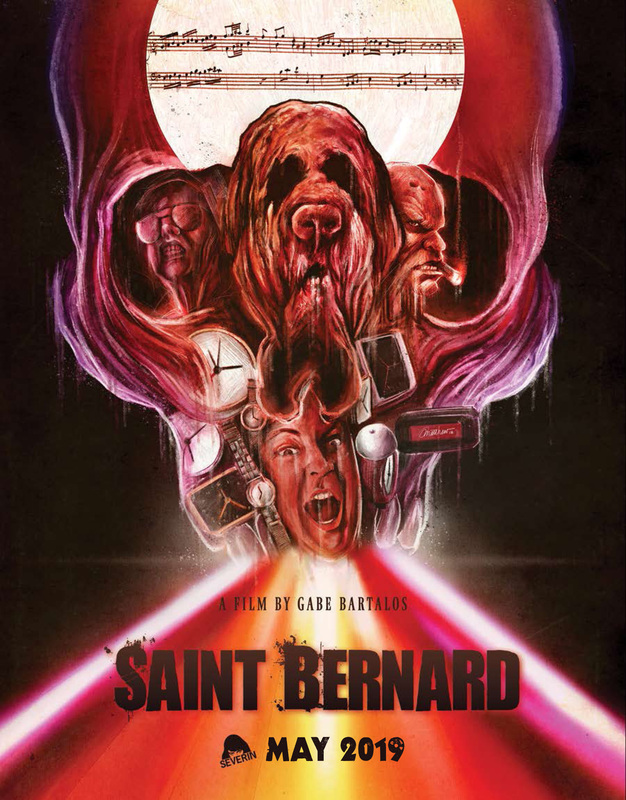 Now writer/producer/director Gabe Bartalos brings his own years-in-the-making vision to the screen, as an unhinged orchestra conductor named Bernard (Jason Dugre of Bartalos’ SKINNED DEEP) graphically descends into a surreal odyssey of chaos, psychosis and “f*cked-up sh*t that looks cool as hell” (Bloody-Disgusting.com). Warwick Davis (WILLOW) and notorious Andy Kaufman cohort Bob Zmuda (MAN ON THE MOON) co-star – with a performance by punk legends The Damned – in this “must-see for the truly adventurous” (UnseenFilms.net), transferred from the original negative and unleashed beyond the underground festival circuit for the first time ever.